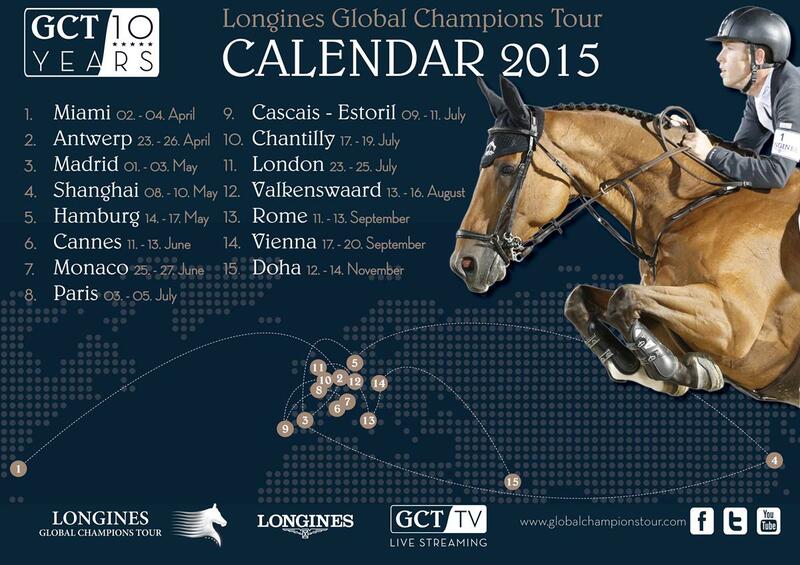 Stunning new international destinations join the Longines Global Champions Tour in 2015 marking the 10th anniversary of the world’s premier show jumping series. The championship circuit makes a strategic expansion to the American continent with the first event of season being launched in Miami Beach in April. For the first time ever, Olympic-level equestrian sport will take place on the golden sands of Miami Beach as one of the most vibrant cities in the world celebrates its Centennial. Hamburg, Germany, where the youngest winner of the 2014 season Katrin Eckermann took glory in her home country, will host from the 14-17 May, before we head to the stunning French Riviera and Cannes from the 11-13 June - a popular destination for the chic equestrian crowd. Show jumping’s ‘Formula One’ will then pit-stop in glamorous Monaco from 25-27 June for the 7th round of the season at the iconic Port Hercule.